Two young girls sport a pair of 2010 glasses and pose for a souvenir photo. 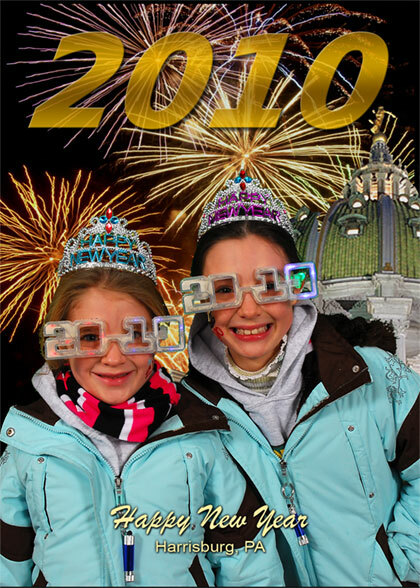 The cold rain falling on downtown Harrisburg during New Year’s eve did not dampen the spirit for thousands of spectators who came out to celebrate and welcome in 2010. We were there setup inside an almost dry tent offering souvenir photos that captured the spirit of the night’s festivities to those wanting to preserve this great memory.